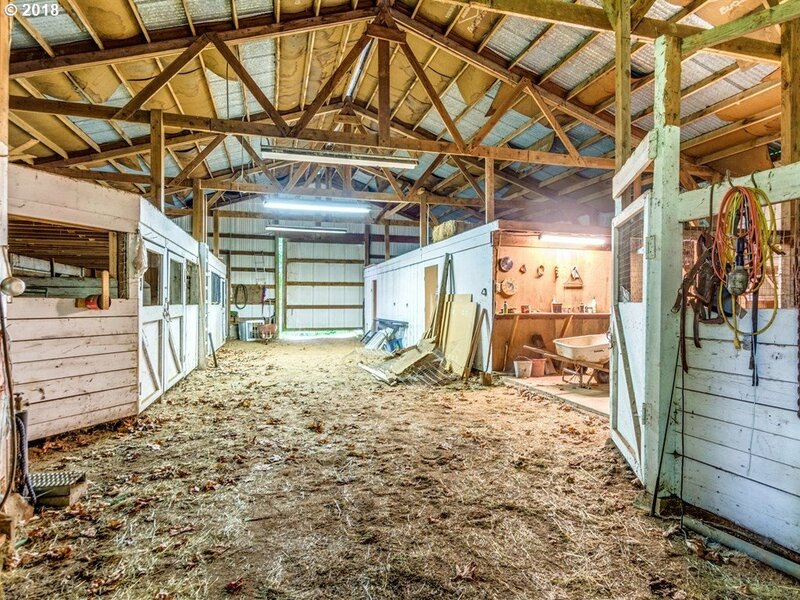 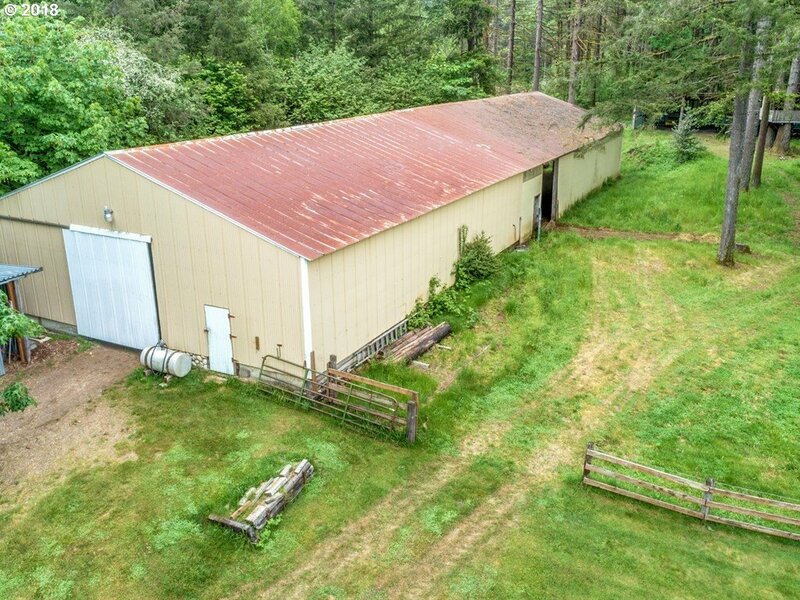 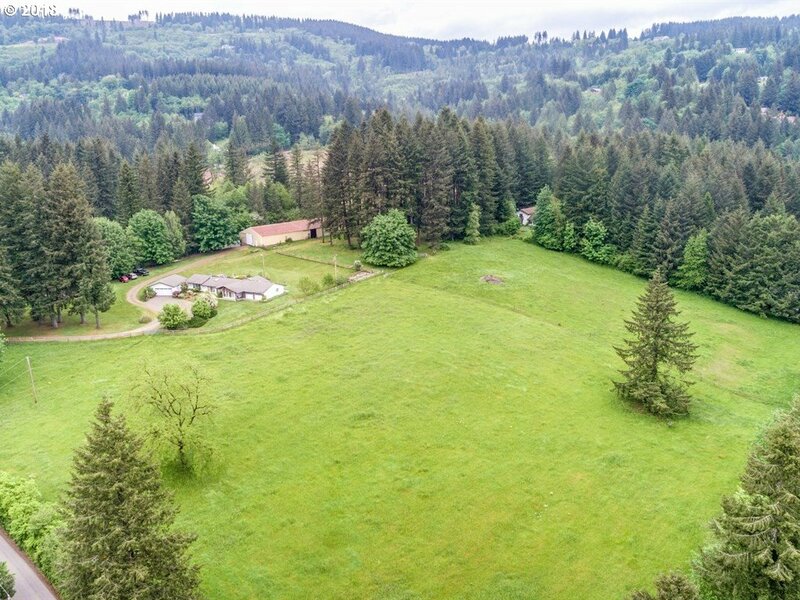 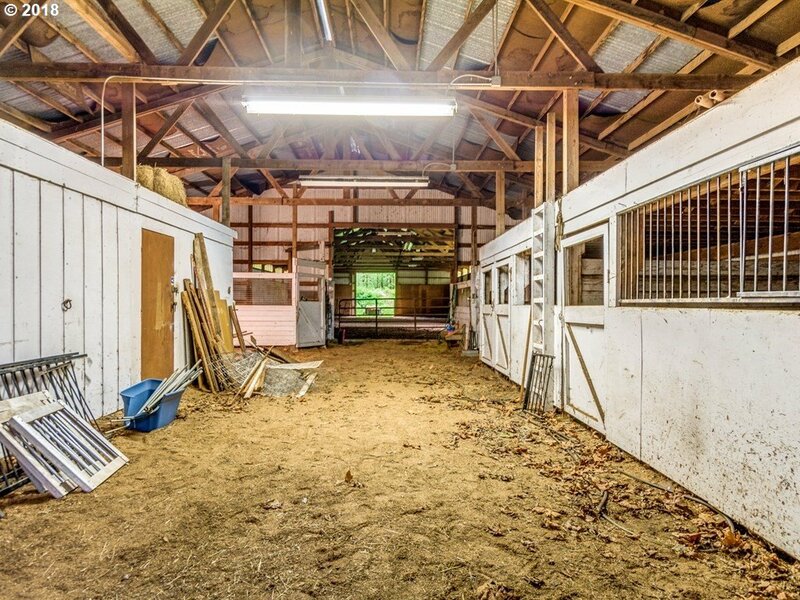 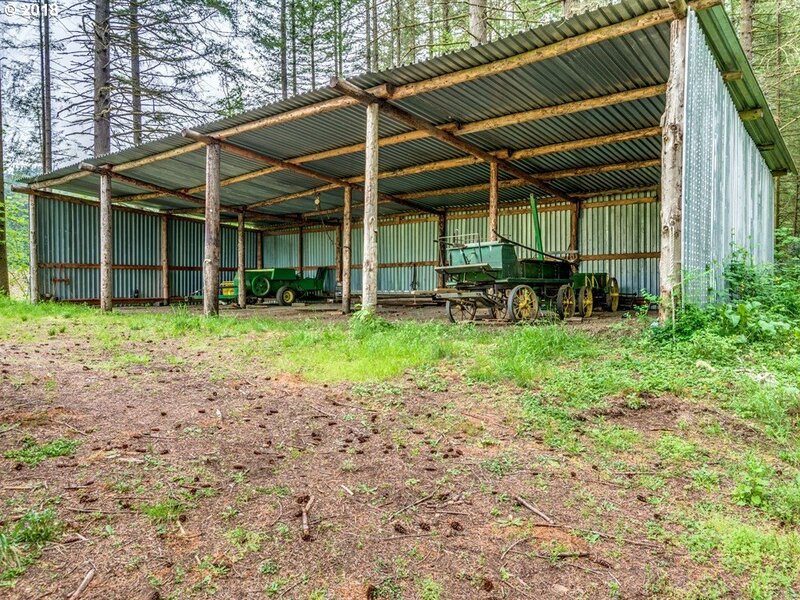 Hard to Find 4.94 Acre Horse Property w/ 6,240 Square Foot Horse Barn! 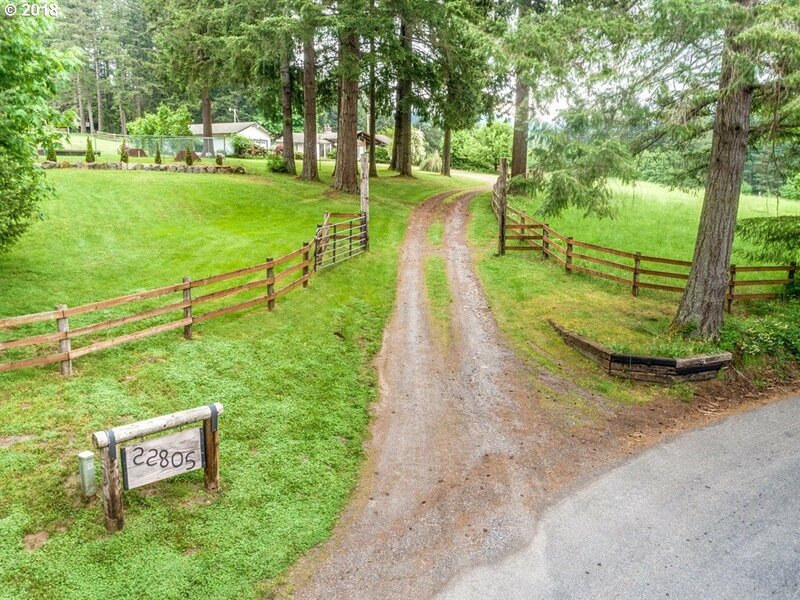 Gated, Fenced & Cross Fenced! 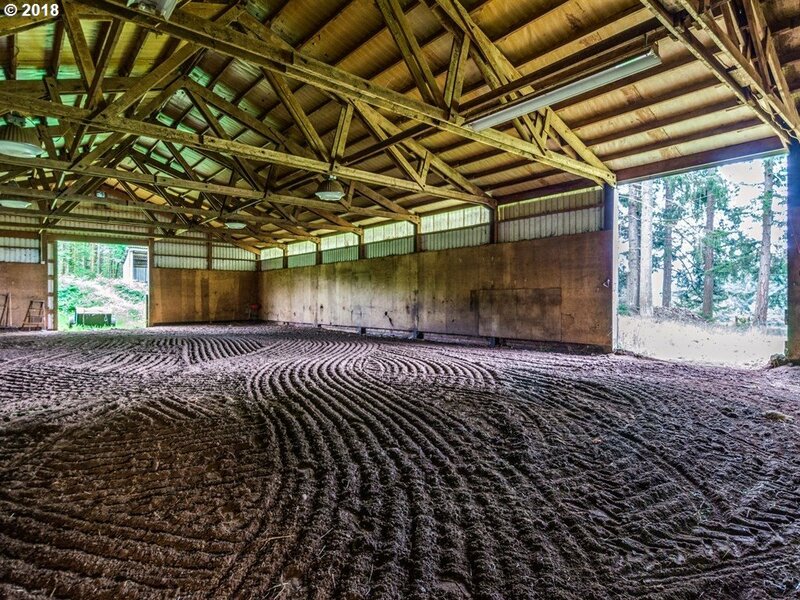 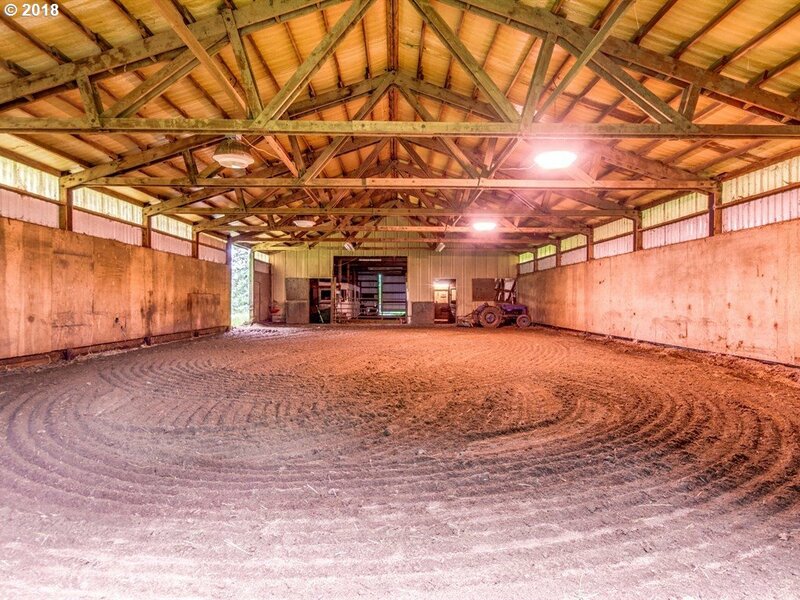 6 Stalls, Tack Room & 48 x 96 Indoor Arena. 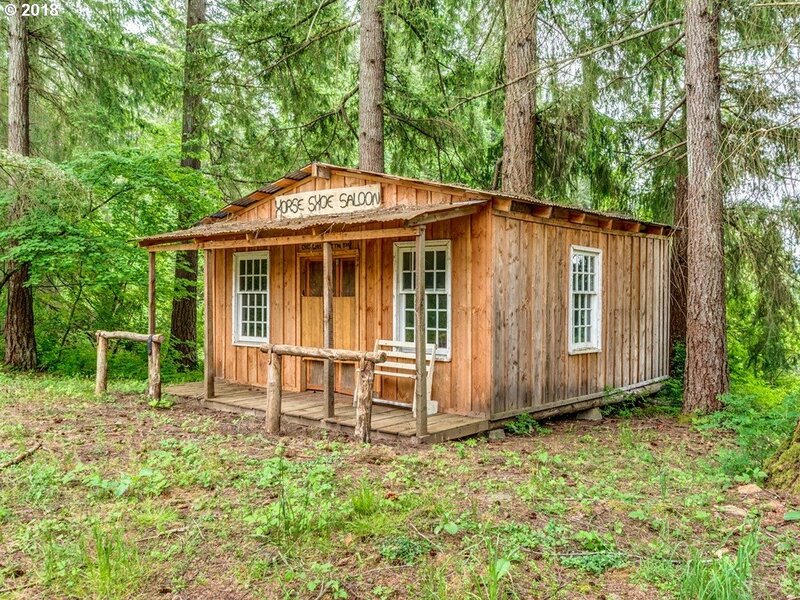 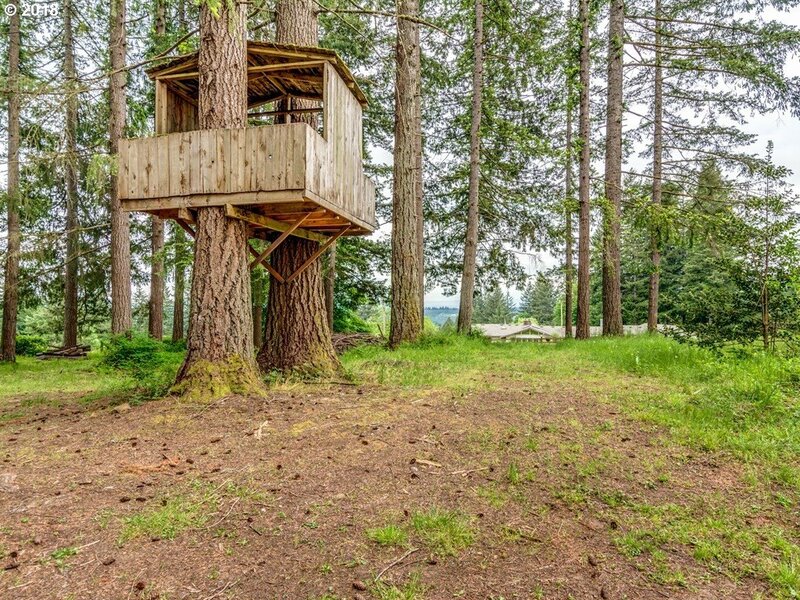 Large Lean-to, Treehouse, Full Operational Saloon w/ Bar & Piano! 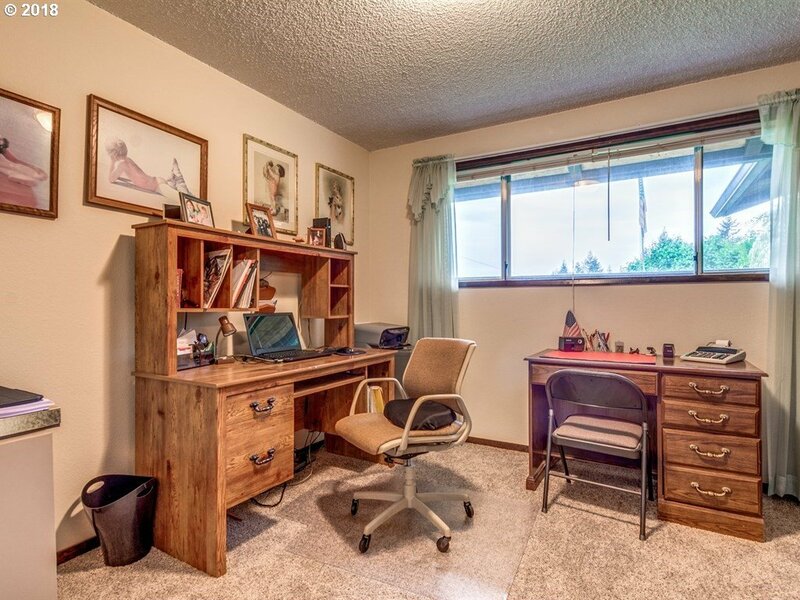 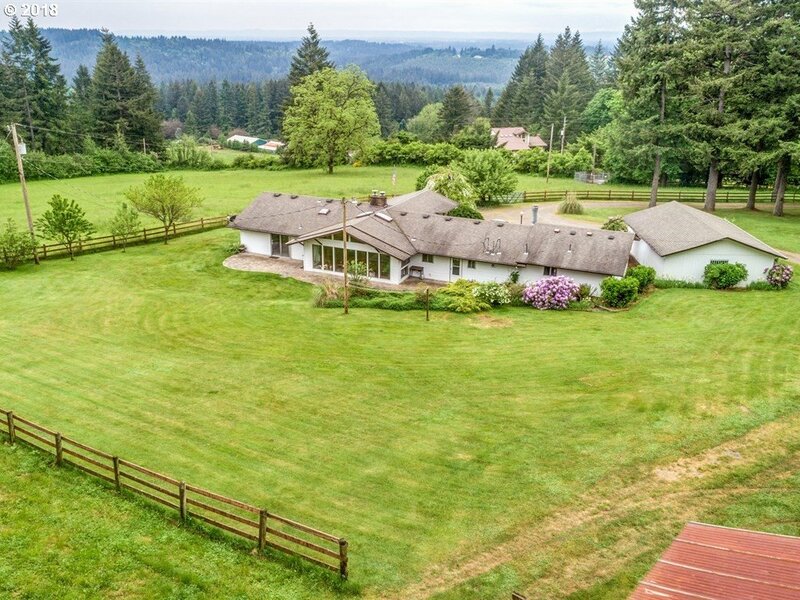 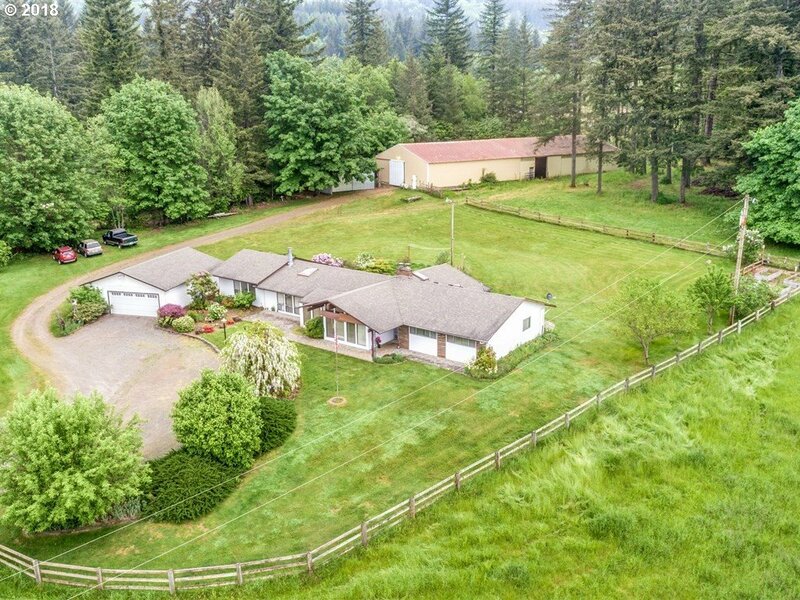 Sprawling Ranch w/ 768 Square Foot Detached Garage! 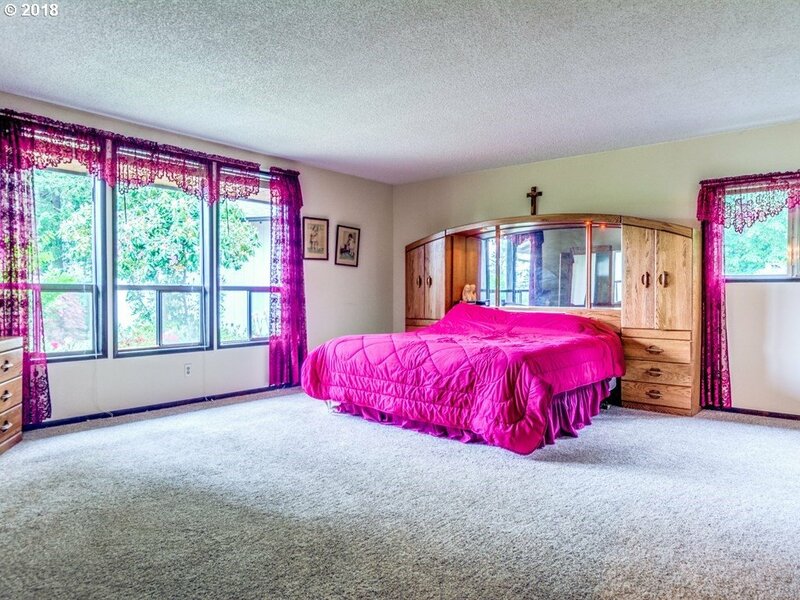 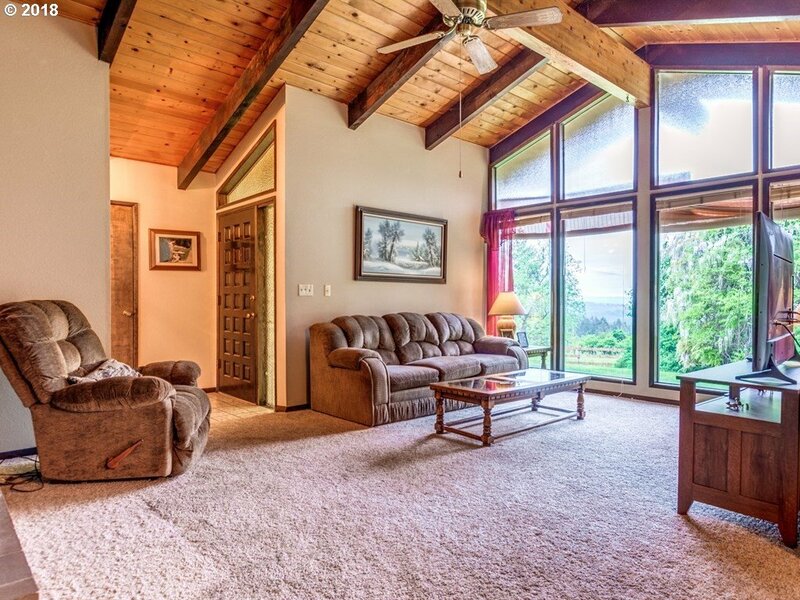 Vaulted Ceilings, Exposed Wood Beams & Pine Ceilings in Multiple Rooms! 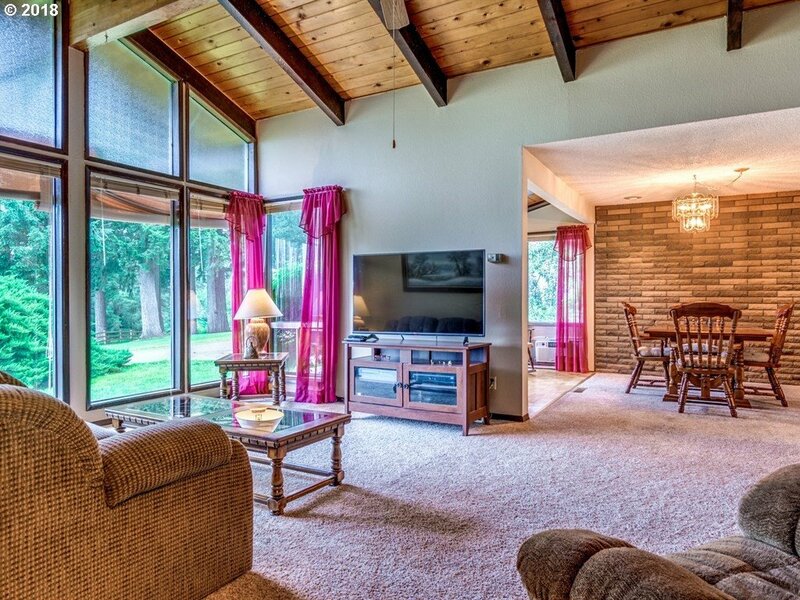 Floor to Ceiling Windows in Living Room! 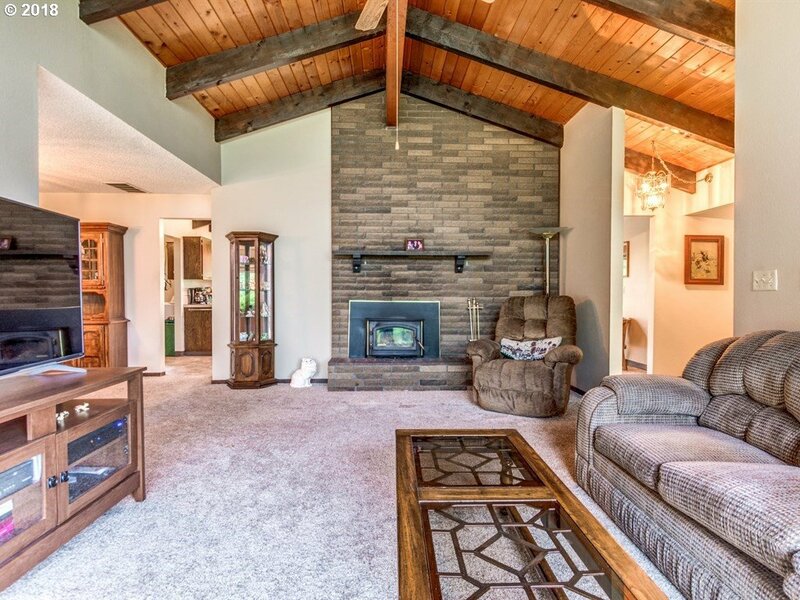 Full Wall Brick Hearth w/ Wood Stove in Living Room & Kitchen! 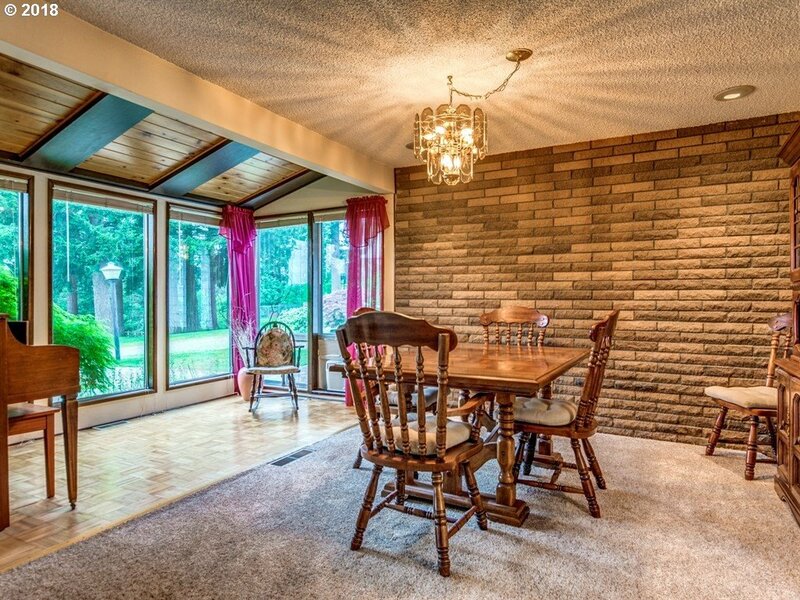 Formal Dining w/ Multi-Purpose Room w/ Slider! 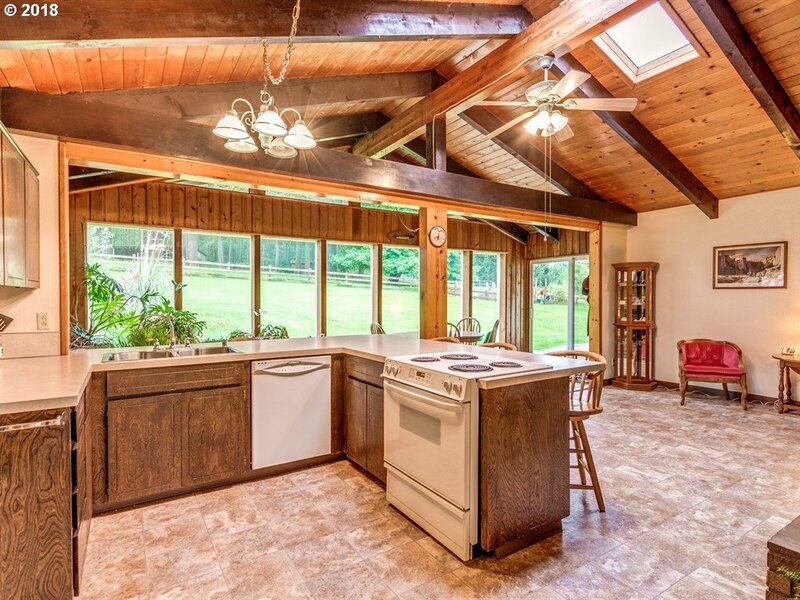 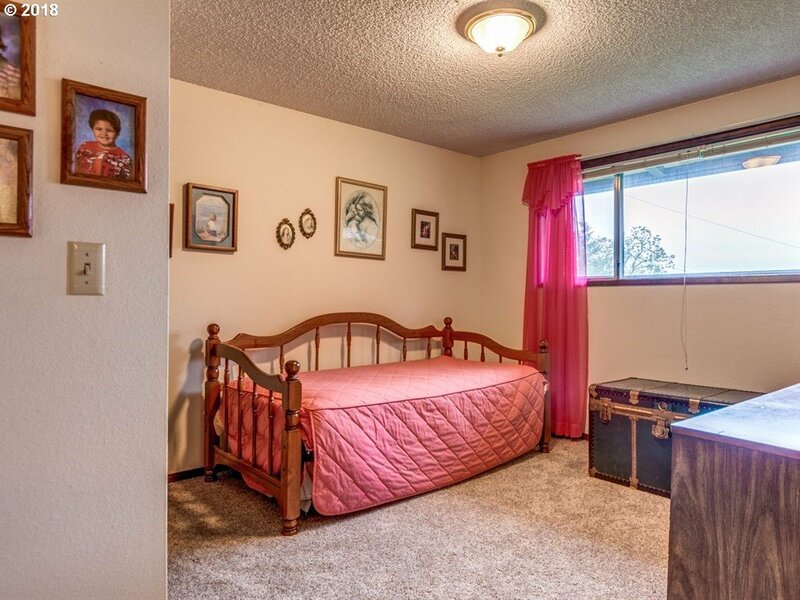 Spacious Kitchen w/ Skylight, Ceiling Fan, Built-In Oven, Breakfast Bar & Pantry! 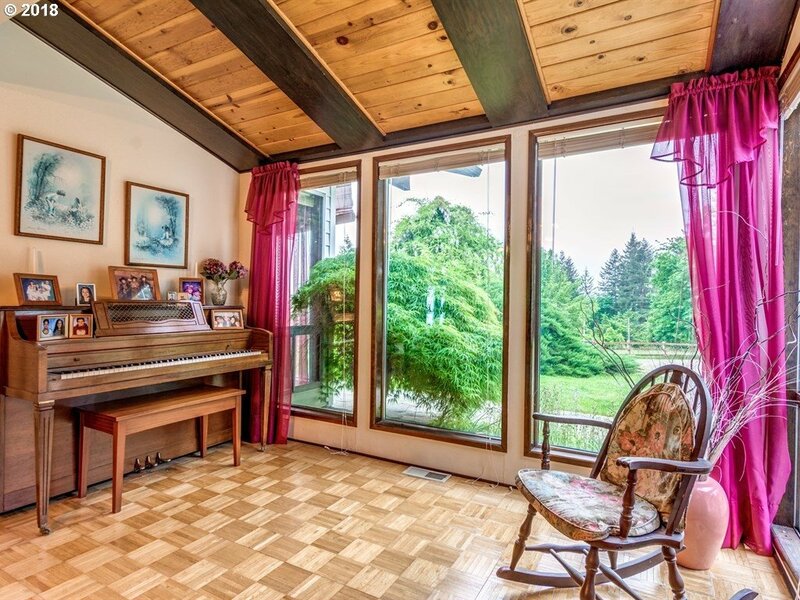 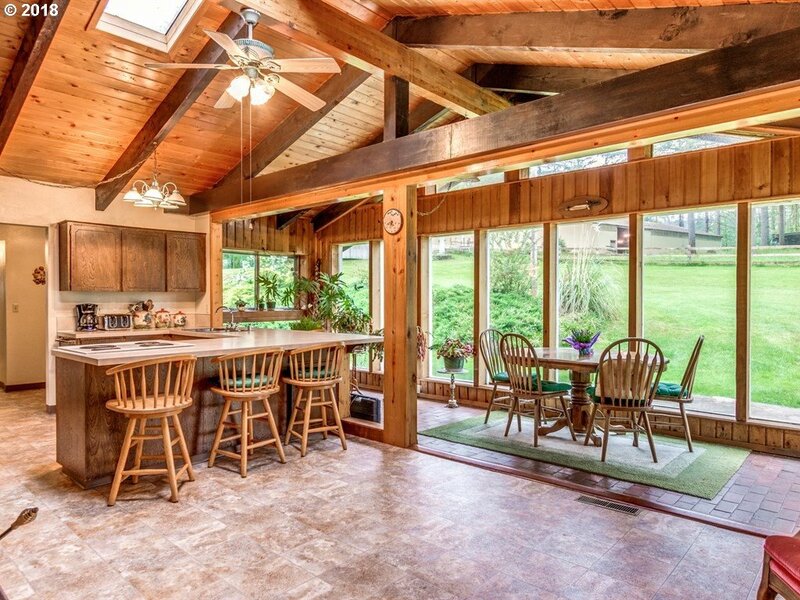 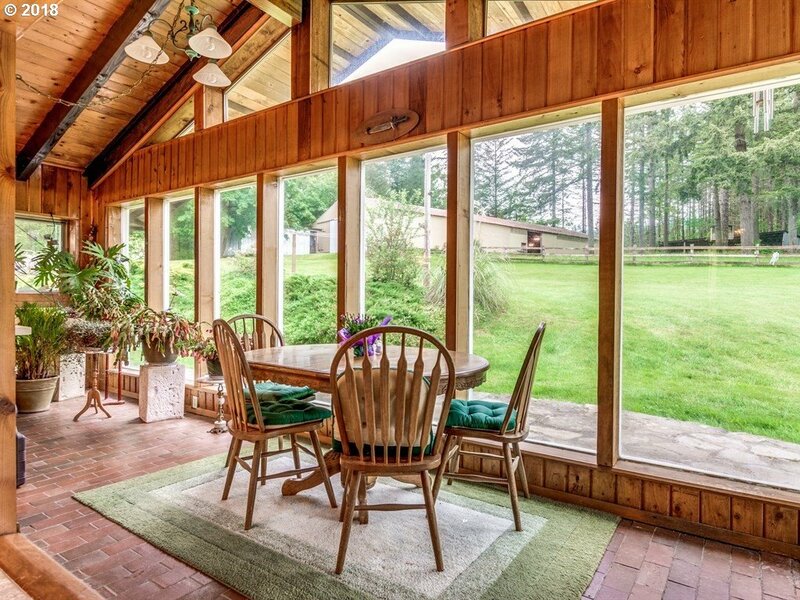 Sunroom-Nook w/ View of Property! 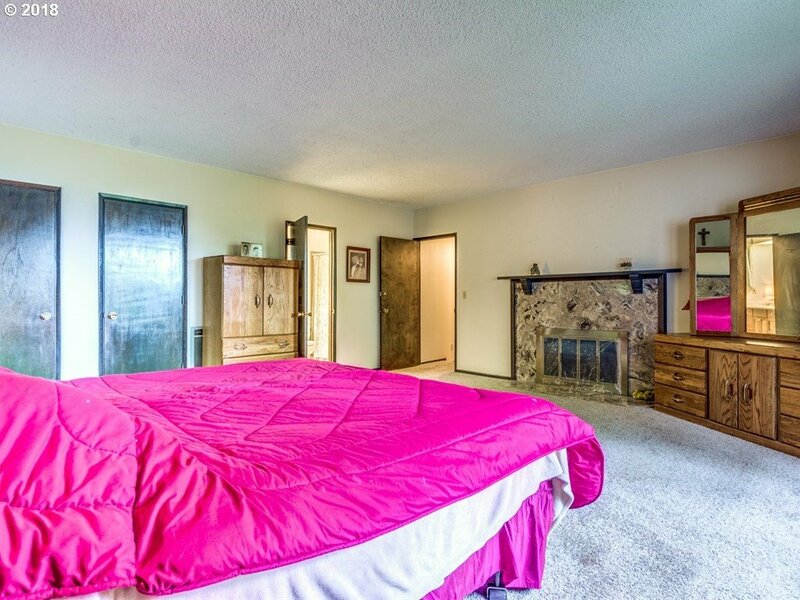 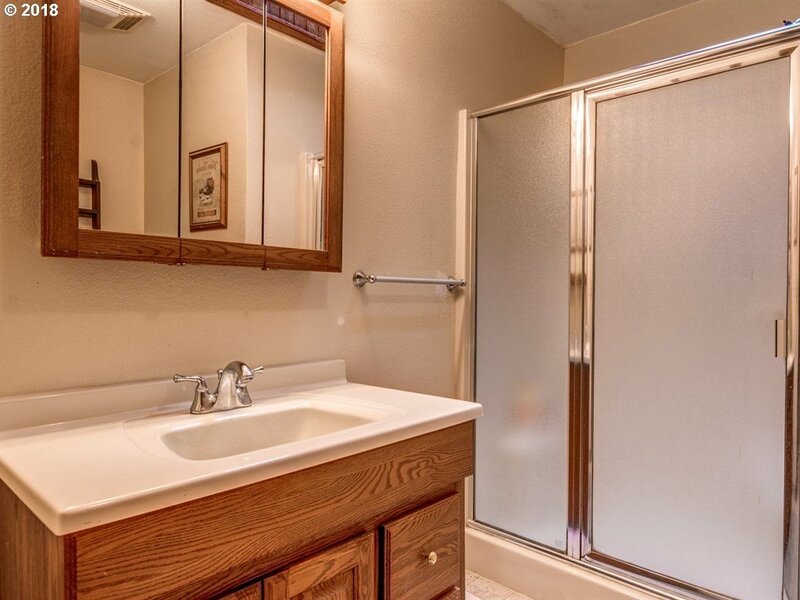 2 Masters both w/ Bath, One w/ Slider & Other w/ Double Closet! 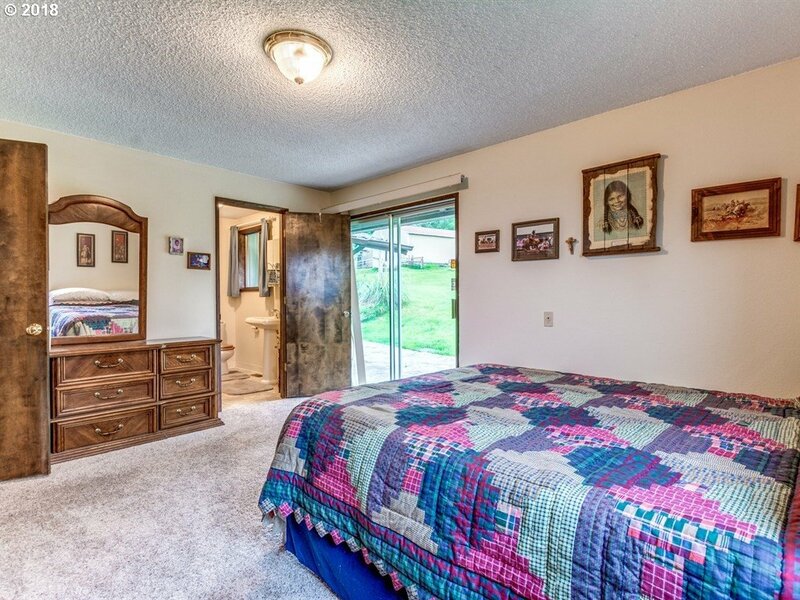 Cowboy Room! 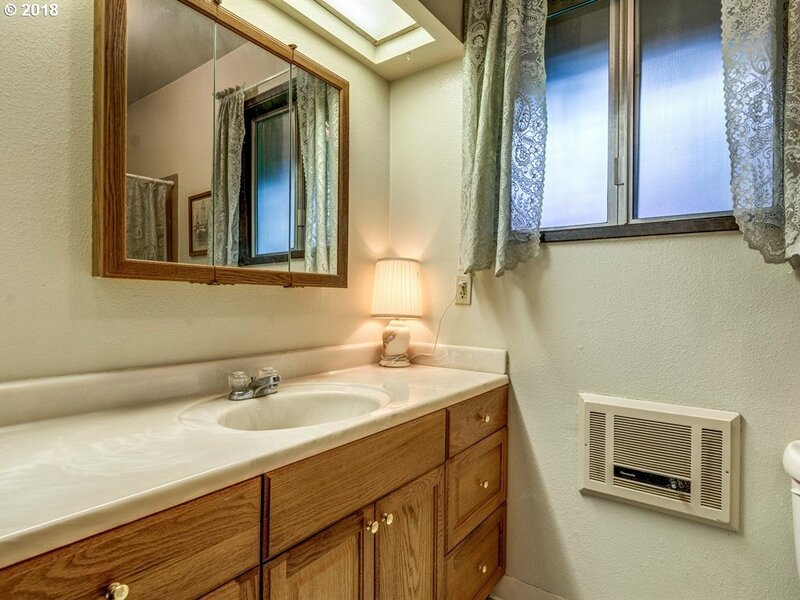 Laundry Room w/ Cabinets! 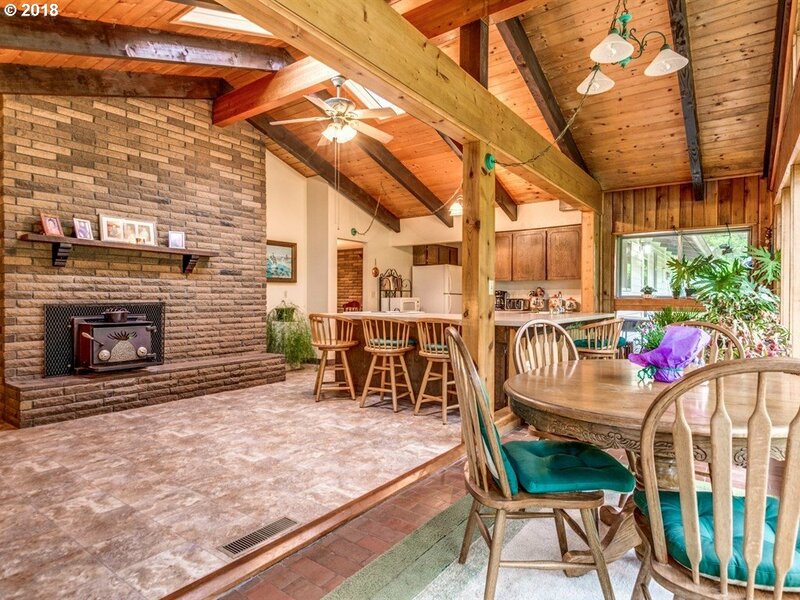 Patios &Walkways w/ Stone Pavers! 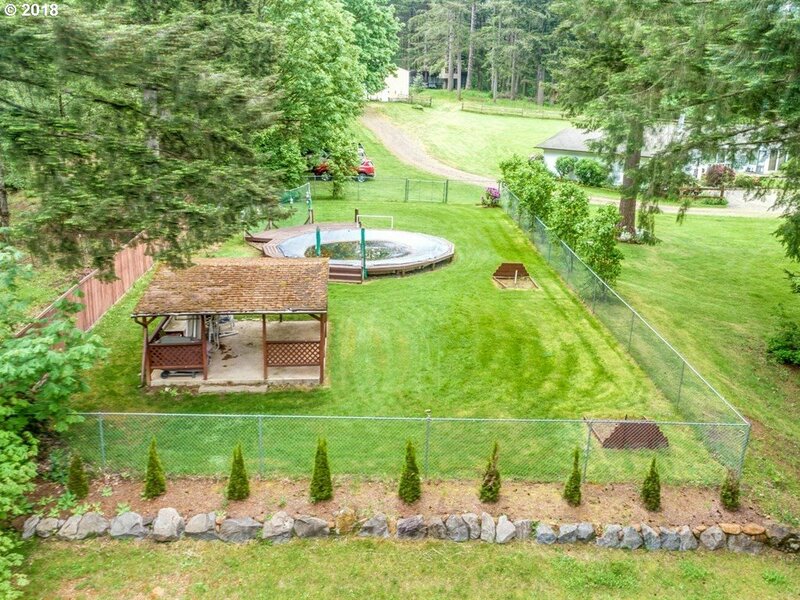 Separate Fenced Area Offers Pool, Covered Patio & Horseshoe Pit! 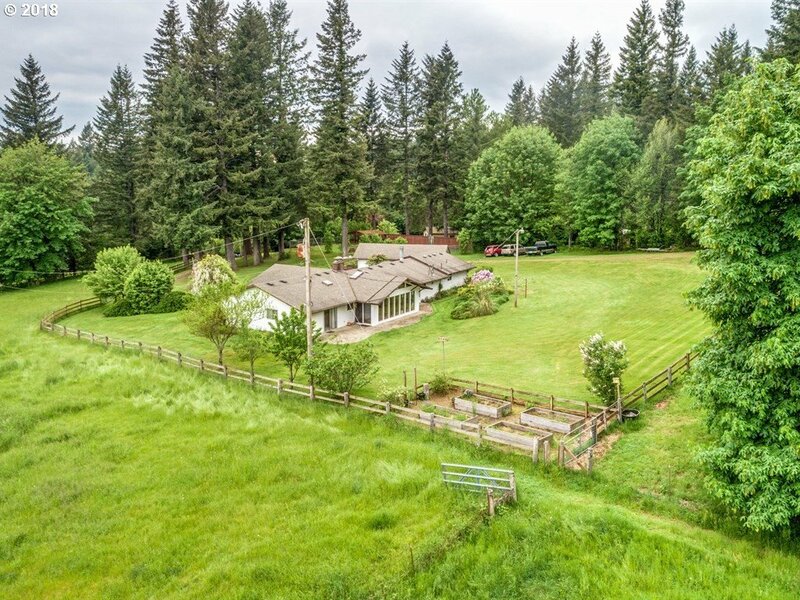 Approximately 1 Acre of Trees! 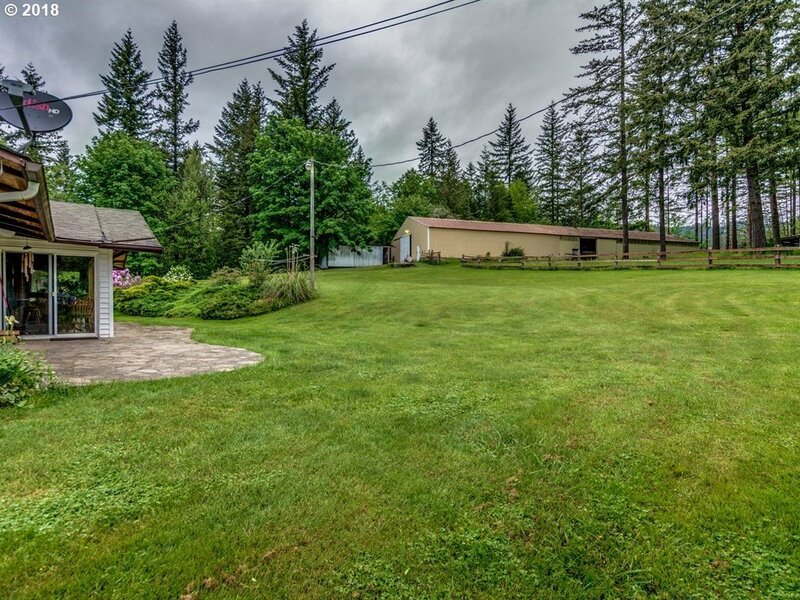 Well Landscaped, Lush Green Grass w/ Garden Area! 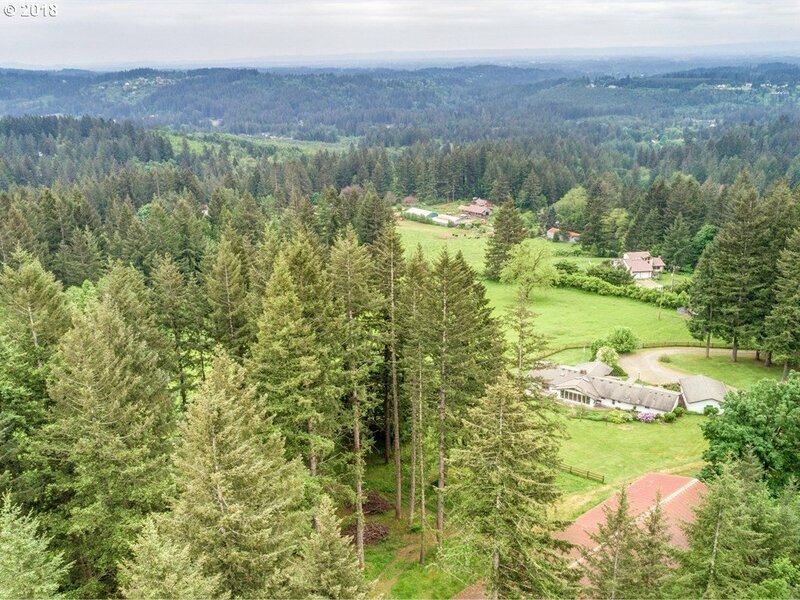 Additional 4.71 Acres Available See ML# 18417068!